Hamburg, Germany is the country's largest port city and is the second busiest in Europe. It's also the second largest city in Germany. Hamburg's city center is interesting and fascinating to visit. There is great shopping, dining and entertainment. There are also impressive historic buildings that give the area character. If you're traveling on a budget, there are a handful of great hostels around. You'll find several of the standard European chains as well as some great locally owned hostels. If you're looking to save money and meet other travelers, there are several great options available. 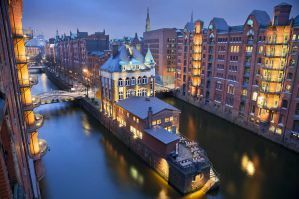 How much do hostels in Hamburg cost? Located in the St. Pauli district of Hamburg, this hostel is a fun place to stay that is in an interesting part of the city with a lot of history and character. The hostel has a cafe and bar on-site as well as a lounge and a nice backyard. You can enjoy a drink and some light snacks at the cafe in the evening after a busy day exploring the city. Many guests enjoy relaxing in a hammock outside when the weather is nice. There's also a nice barbecue area. This is a social place to stay and it's not hard to meet other guests. The staff at the hostel are fun and friendly and can answer any questions you might have. 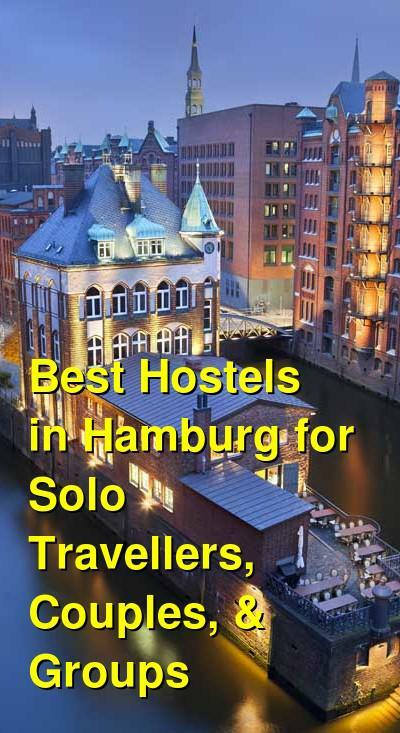 The staff, combined with the convenient location, make this a good option for travelers to Hamburg, Germany. The hostel has dorms that sleep four, six, or eight people. There are six bed female only rooms, and all other rooms are co-ed. Each room has it's own private bathroom. Another branch of the Generator chain, Generator Hamburg is located in the St. Georg part of the city. This is a central and vibrant area where you'll find plenty of things to do and see. The hostel is right beside the central train station and is just a short walk from popular sights including Dichtorhallen, Landungsbruecken, Harbour City, and the historic Speicherstadt. The hostel has a good atmosphere and is a great place to meet other travelers. There's a bar where you can grab a drink and chat with other guests or you can just sit back with a book and reflect on your day in the city. The hostel has both private rooms and dorms available. Beds in the dorms come with reading lights. Dorms sleep either six or eight people and both female only and co-ed rooms are available. There is a wide range of private rooms available as well. If you want a little more privacy, you can choose between single, twin, double, triple, quad, and six bed private rooms. Each has its own bathroom. A good hostel for solo travellers, couples, groups, and families. Arena Hostel is conveniently located next to the S-Bahn-Station Eidelstedt. From there it's about a twelve minute ride into St. Pauli and the famous Reeperbahn Street. It's also a fifteen minute ride into the city center. This is an affordable place to stay with a pleasant atmosphere for backpackers and budget travelers. The hostel is popular with solo travelers and groups alike. It is clean, comfortable and friendly, so it will quickly begin to feel like your home away from home. The hostel has all of the standard amenities and facilities. There's a shared kitchen that guests can use and there is a nice common area where you can relax and chat with other guests. Private rooms are either doubles or quads. Dorms sleep four or six people and female only or co-ed rooms are both available. Another branch of the Meininger chain, this hotel is located about five minutes from the Altona Station in Hamburg's city center. It's located between the districts of Ottensen and Sternschanze and is surrounded by plenty of shopping, restaurants, bars, and cafes. Most of the city's top attractions can be reached by either walking or taking public transportation. The hotel has a nice lobby as well as a comfortable lounge. There is also a seminar room that is equipped for presentations and meetings. The hotel provides an all you can eat breakfast as well as free wi-fi. If you have your own car, there's an underground parking lot for an additional charge. There are no dorms available. Private rooms are either singles, doubles, quads, or five bed rooms. Every room has an attached bathroom.